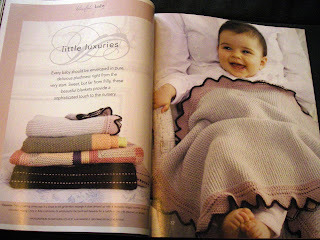 Crazy Crocheter: Why do I like the new Debbie Bliss magazine? 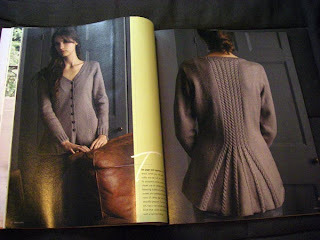 I was thrilled when hubby told me "I saw this knitting magazine at the drug store, it said Debbie Bliss on it". Whaaaaat???? Go get it puleeeeze!!! It's hard not to love many of the patterns in there. Oooooh - I have to get my hands on a copy of this magazine! I keep seeing lovely pictures of the content.. So far, none of my usual magazine suppliers have it - but I won't give up! Hi, i've stumbled on this web page and would like to know how to get a copy of these knits? What is the title/issue of the magazine. Is it possible to get in the uk? The name of the magazine is Debbie Bliss. Those images are from the first issue.